Game soundtracks have come a long way ever since the era of 8-bit tracks. Some game musics have become just as iconic as the games they were featured in. So iconic, actually, that some fans perform cover versions of their favourite game songs. Below are 7 game-music covers which I believe are as good as the originals – if not better. I believe it’s impossible to actually outdo Icarus. The main theme for Deus Ex: Human Revolution, which was first heard in the game’s reveal trailer, reaches what I think is the highest possible level of epicness. This piano cover isn’t as epic as the original, but it does manage to convey a much more intimate feeling, while brilliantly recreating the emotional crescendo of McCann’s original work. Dearly Beloved is a piano piece which serves as the overall main theme of the Kingdom Hearts series. It has been remixed several times throughout the saga, but what remained consistent in all official versions of the song was the slowliness and softness of the melody. This guitar cover also starts quite softly, before turning the track into an epic rock song, which contrasts brilliantly with the original melody. Much like Dearly Beloved in Kingdom Hearts, this song was remixed many times throughout the Tomb Raider series, as it is the main theme of the saga. This cover is most probably based on a Tomb Raider 2 version of the song, composed by Nathan McCree. What is amazing and original with Songe’s cover (in addition to Songe’s playing all three instruments of the song) is the use of an ocarina (yes, it also exists in the real world, not just in Zelda!) – which confers a nostalgic, peaceful feeling to the already awesome original song. I think most Assassin’s Creed fans will agree on the fact that Ezio’s Family is the most emblematic (and most beautiful) song of the whole series. 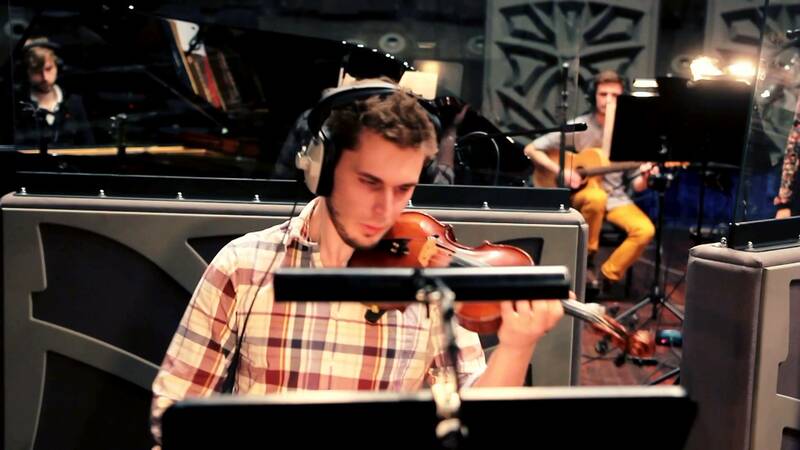 The Multiplayer Ensemble’s rendition of the song remains really close to Jesper Kyd’s original one. But the orchestra still adds a more personal touch to the song, which makes it even greater, in my opinion. I’m pretty sure you’ve already heard Malukah’s The Dragonborn Comes, as her Skyrim cover has had a well-deserved success, so much so that Bethesda (the studio behind The Elder Scrolls) has actually asked Malukah to compose a song for the next entry in the franchise, The Elder Scrolls Online. I mean, the song speaks for itself. Malukah’s relaxing voice and subtle guitar convey a fantastic, intimate feeling to the song. Once again, the brilliance of the cover is the fact that it goes totally at the opposite of the song’s original mood. I absolutely adore live orchestra covers of game soundtracks. I absolutely adore Akira Yamaoka’s work on the Silent Hill series. Then, logically, I absolutely adore this version of Theme of Laura, Silent Hill 2‘s main theme. What is most surprising in this cover is the addition of a saxophone to the original melody, and the happy mood it manages to inject into a song that was originally pretty sad. The orchestra’s symbiosis and passion while playing this song are obvious, as well as communicative. Choosing between the aforementioned ocarina cover and this amazing harp rendition of the Tomb Raider theme was really tough. I think I prefer Songe’s ocarina version – but Cameron J. Goss’ harp cover still deserved to be mentioned here. So here it is! Though it comes from an official PlayStation account (which is why it isn’t fanart, per se), I’m still a huge fan of this PlayStation Greatest Soundtracks medley performed by the PlayStation Access team and musician SquidPhysics. That’s it for my Top 7! Now, what about you? What game-music covers do you like? Please share your favourite game soundtracks and covers in the comments section below!